Q: What’s the ultimate win for an escape game operator? A: Making a group of players want to simultaneously curse you and high-five you. Seriously! When escape room players love you and hate you at the same time, you’re doing something right! To run a truly great escape room, your puzzles must be challenging, unique . . . and FUN! To help you get started, NowEscape has compiled the following list of 101 escape room puzzle ideas, based on the most common escape-game puzzle types around the world. This list is by no means all-encompassing. 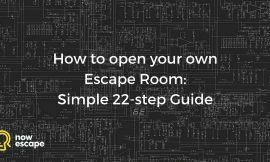 There are hundreds more room-escape puzzle ideas out there that you can explore, adapt, and use. These ideas are provided to spark your imagination – to give you the “a-ha!” you need to design your own unique puzzles. Will copying these ideas as described wow your customers and make your brand a household name? Veteran escape room players are looking for puzzles that surprise them. You want your escape rooms to be the standard by which new players judge all other games going forward. Take these ideas and craft them into something your customers – and your competition – have never seen before. The puzzle types and percentages discussed in this article are based upon research conducted by Scott Nicholson in 2015 and published in his white paper, Peeking Behind the Locked Door: A Survey of Escape Room Facilities. You can download his white paper here. Hiding physical objects throughout a room is the most common puzzle used by escape room designers. That doesn’t mean you should avoid using hidden objects – you just need to get creative in how you do it. Idea 1: Hide a clear glass ball in a container of water. 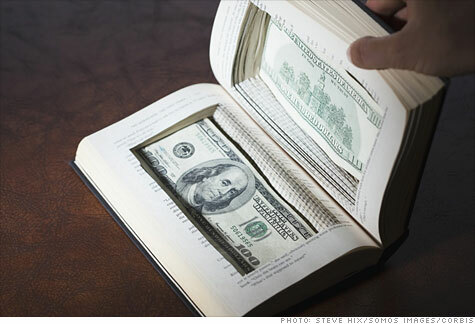 Idea 2: Hide money or documents in a book. Money, photographs, documents and more can be hidden in a hollowed-out book. Idea 3: Hide a key in a flower pot. Idea 4: Hide a key on a wall where it’s only visible when illuminated by black light. Hidden objects are used in 78% of escape rooms worldwide. One of Nowescape’s favorite puzzle categories involves tasks that can only be completed if several people work together. These puzzles are not only challenging, they require players to exercise team-building and communication skills. Many corporate groups looking for team-building exercises for their employees seek out rooms that require this type of problem solving. Idea 5: Require one player to perform a task in one room with no view, while a teammate who can see the results provides directions from another room. Idea 6: Chain or tie players to one another, restricting their movement until they find a key to release themselves. Chaining players together results in teamwork … whether they like it or not! Idea 7: Connect the electricity that powers a puzzle to a stationary bicycle. Require one player to pedal continuously while another solves the puzzle. For an added challenge, if the player operating the bicycle stops pedaling, reset the puzzle. Team communication is used in 58% of escape rooms worldwide. There are numerous ways to use light in an escape room. Light can be used as a tool to reveal or hide clues. It can also be used to create atmosphere, supporting your theme and helping immerse your players in the environment you’ve created. When considering the types of lights and light effects you’d like to use in your escape room, keep your theme in mind. A black light may fit into your nightclub or biolab theme perfectly but may seem out of place in a pirate ship or a castle dungeon. Idea 8: Place a code on a spinning fan so that it can only be read using a stroboscope in the dark. Idea 9: Create clues that glow in the dark. 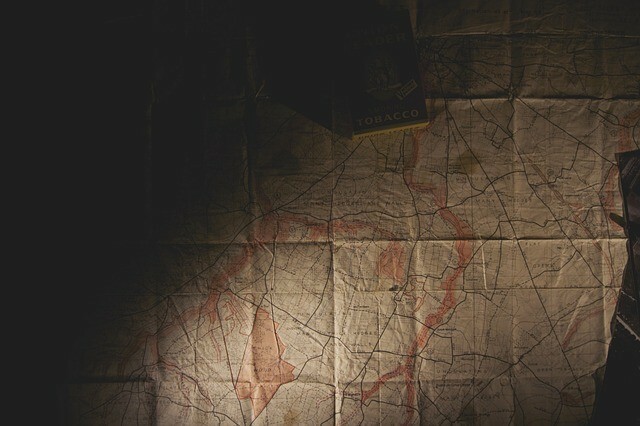 Idea 10: Require players to navigate a completely dark environment. Idea 11: Write clues or messages with UV-paint (transparent or otherwise). Idea 12: Use a lamp and a sundial to reveal a hidden door. Idea 13: Create a three- to four-character sequence out of Christmas lights on the ceiling, then surround it with additional lights. Design a switch that shuts off the additional lights, leaving only your code lit up. Require players to find and figure out how to use the switch in order to read the code. Light is used as a puzzle element in 54% of escape rooms worldwide. Although complex mathematical puzzles are often not recommended, since you cannot predict your customers’ education level and math ability (see the section on algebra and mathematics below), it is generally safe to assume players are able to count. Idea 14: Hide objects that are clearly related throughout the room and require players to find them all and use the total number to solve another puzzle. Counting is used as a puzzle element in 53% of escape rooms worldwide. Often, players are so busy looking for hidden objects and obscure clues they miss what’s right in front of them. Rather than hiding all your clues, try putting some of them out in the open and see how long it takes your players to realize they are there! Secret doors are common features in escape rooms. Idea 15: Require players to step into a set of footprints printed on the floor in order to open a door. Idea 16: Place a set of scales in the room and require players to balance or weigh a set of objects. Idea 17: Reveal a clue if a player sits on a piece of furniture, such as a sofa or a bed. Idea 18: Hide the entry to the next room under a bed, beneath a rug, or behind a ventilation cover. Noticing something obvious in the room is used by 49% of escape rooms worldwide. Symbol substitution is generally a simple task of comparing provided symbols to a key and matching them up to the letters or numbers they correspond to. While a fairly easy puzzle to solve, something like this at the beginning of a game can give players an early win and the confidence and motivation to tackle more difficult puzzles later. To make a symbol substitution puzzle more challenging, you can place the symbols in one room and the key in another, thus requiring players in separate rooms to work together to solve it. Code a message in an ancient language and let players decipher it. 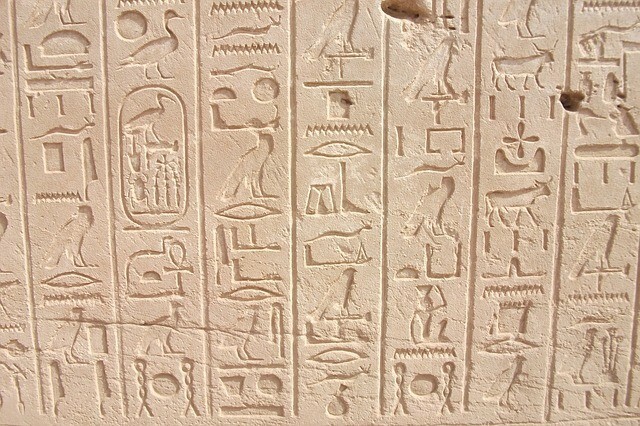 Idea 19: Substitute Morse code signals, braille, or hieroglyphics with letters. Idea 20: Substitute letters for numbers, or vice versa. Symbol substitution with a provided key is used by 47% of escape rooms worldwide. Objects don’t always have to be used for their original or most common purpose. Providing objects that look like set decoration but that can be manipulated in unusual ways to accomplish goals is a great way to challenge players to think outside of the box. If players need a hint on how to use something, you can incorporate the hint into part of another escape room puzzle. Idea 21: Provide a dial phone that can be used as a calculator, or vice versa. Idea 22: Provide a plastic card that players can slide between a door jam and a latch to open a locked door or a door with no handle. Idea 23: Require players to use a heavy object in the room to apply weight to a platform or a switch. Idea 24: Hide a magnet inside an object, such as an eraser, that can be used to lift a key out of a floor crack or operate a magnet-activated switch. Idea 25: Provide a loose screw that can be removed and used to pull out a drawer that’s missing a handle. This kind of out-of-the-box thinking is used by 47% of escape rooms worldwide. Depending on your theme, you may have paintings, diagrams, photographs, posters, and other decorations on the walls (or in frames on shelves or desks) around the room. Why not add some puzzles to your set decoration? A map can contain key coordinates, hidden messages, and more! Idea 26: Encode clues or messages in a map. Idea 27: Require players to recognize a famous person and use that information elsewhere in the game. Images with clues hidden in them are used by 43% of escape rooms worldwide. Many rooms include objects that obviously (or perhaps not so obviously) go together and require players to combine them to either create a new object or to activate a switch. Idea 28: Require players to insert money into a money-counting machine. Idea 29: Require players to run a credit card through a credit card reader. Idea 30: Reward players with a clue if they put beer in a fridge. Idea 31: Activate a switch if players attach a prop to a statue, such as inserting a fishing rod into a fisherman statue’s hand. Idea 32: Require players to place a model car on a map. Idea 33: Require players to place a book on a shelf. Idea 34: Activate a switch if coins are deposited in an old public phone. Idea 35: Dispense a clue if coins are deposited in a vending machine. Idea 36: Reveal a clue if players set a laptop on a table. Idea 37: Give players a jigsaw puzzle to assemble. Include one extra piece, which can be used as a clue or a tool elsewhere in the room. We have seen this puzzle at one of the Manchester’s escape rooms. Object assembly is used by 40% of escape rooms worldwide. There is some debate among escape room operators regarding the use of algebra and mathematics (as opposed to counting or simple calculation) in escape games. Some feel that escape game players expect challenges they may not be prepared for and understand that they can request hints if they get stumped. Others believe that all the knowledge required to solve the puzzles in a room should be either extremely basic or specifically provided in a prop or another puzzle. A solution that may satisfy both sides of the debate would be to include mathematical puzzles but also provide alternative ways to solve them (such as a mathematics book on a bookshelf containing the answer) if players lack the skills to solve them on their own. Idea 38: Provide an algebraic formula and require players to calculate the answer. Algebra and mathematical equations are used by 39% of escape rooms worldwide. According to the German gestalt theory, our brains naturally create patterns from or connections between stimuli in our surroundings. Give your players an opportunity to recognize and combine related items to create messages or clues that aren’t immediately obvious. Idea 39: Provide a set of dots within which a shape or code can be found. Idea 40: Give players a set of symbols that can be combined to create a word or a number. Idea 41: Attach items to a wire board and require players to connect those that create a pattern. Pattern identification is used by 38% of escape rooms worldwide. Riddles have been challenging minds for thousands of years. They typically require players to consider alternate meanings of words or to make leaps in logic. In ancient Greece, the ability to solve riddles was considered a sign of keen intelligence. In fact, Greek mythology brought us the famous story of the Sphinx, who allowed entry to Thebes only to those who could answer her riddle. BrainDen.com offers a collection of riddles you could use in your escape game puzzles. Idea 42: Make the answer to a riddle a clue that players need to complete a task. Riddles are used by 37% of escape rooms worldwide. Unlike the symbol substitution with a key discussed earlier, this type of puzzle requires critical thinking and logic rather than matching. 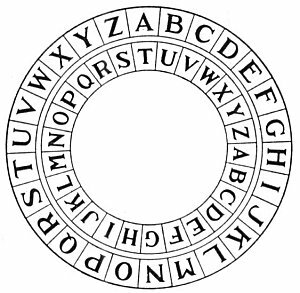 Idea 43: Let players re-create a cipher key from some known information and apply the key to an encrypted code. Players are required to develop their own cipher keys in 35% of escape rooms worldwide. Many escape game puzzles rely upon players’ sense of sight. But there’s no reason to neglect the other five senses! Using sound as a puzzle element can be an interesting way to mix things up a little and give players some diversity. Like light, sound can also be used to reinforce your theme and immerse your customers in the world you’ve created. You can also use sudden, loud noises to distract or frighten players, if it’s appropriate for your theme. Idea 44: Play a melody that players must repeat using a mini-piano. Idea 45: Give players a message in Morse code. Idea 46: Play a sequence of sounds (animal sounds, rhythms, tones) and require recognition of the sequence to solve another puzzle. Idea 47: Use a well-known music track to provide a clue that involves the band name, the song name, or something related to the song. For example, a Beach Boys song could represent the need to use a shell or a bottle of sand for some purpose. Idea 48: Play parts of the same message in different rooms so that teammates have to spread out and listen simultaneously to get the full message. Idea 49: Play a loud distracting sound to indicate that a player has pushed the wrong button or flipped the wrong switch. Idea 50: Record clues on cassette tapes and provide a tape player to listen to them. Idea 51: Transmit clues or messages over a radio; require players to find the batteries and the right frequency. Sound is used as a puzzle element in 26% of escape rooms worldwide. Mirrors can be used by players as tools to solve puzzles. Idea 52: Create a message or a map that can only be read using a mirror. 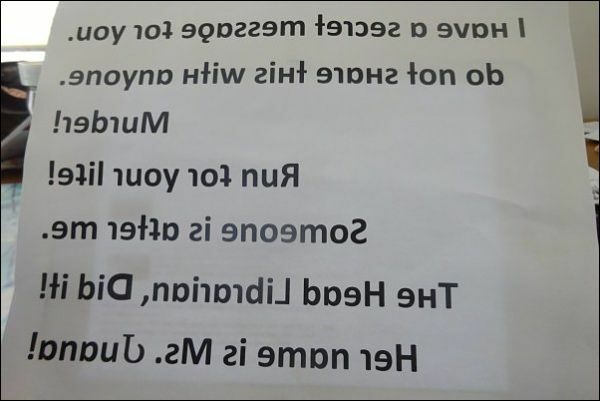 Messages written backwards are easier to read if reflected in a mirror. Idea 53: Require players to hit a target using a laser and mirrors. Idea 54: Write a hidden message on a mirror that is only revealed if a player breathes on it. Message is revealed when condensation is applied. You can also create tricky visual illusions when incorporating mirrors into the puzzles themselves. Item 55: Use a mirror to make it appear as if a clue is within arm’s reach. When players reach for it, they’ll find only empty space. Mirrors are used as puzzle elements by 26% of escape rooms worldwide. Some puzzles aren’t challenging because they’re hidden; with some puzzles, the trick is simply figuring out how to arrive at the right answer. Idea 56: Hide clues in finished Sudoku or similar puzzles. We’ve see it at one of the London escape rooms. Idea 57: Make the answer to an IQ test question the secret to solving another puzzle. Abstract logic is used by 22% of escape rooms worldwide. Providing reference materials (hard copies or via digital interface) can open up numerous possibilities, since they allow you to design puzzles that require outside knowledge to solve. For those players who know the answers, such puzzles can be solved more quickly, but for everyone else, the opportunity is still available to quickly find the answer and move forward. Idea 58: Include an almanac of facts among the books on a bookcase that contains a crucial but obscure fact, number, year or other piece of trivia. Idea 59: If players have access to the Internet, create a dedicated website based on your theme containing a clue or message in its images or text. Idea 60: Provide access to an encyclopedia (or the Internet) as a backup for finding solutions to trivia, math, or other puzzles most people (but not all) are familiar with. Research skills are required of players in 20% of escape rooms worldwide. 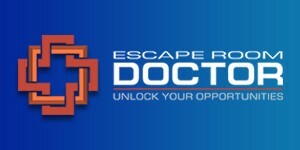 While some might argue that escape games require strategic thinking throughout, this category refers specifically to puzzles that require players to think ahead and predict outcomes. Idea 61: Create a sequence of puzzles that must be solved in the correct order to reach a desired outcome. Idea 62: Give players a Chess problem to solve. Puzzle sequences and other challenges that rely upon strategic thinking are used in 20% of escape rooms worldwide. Hand-eye coordination tasks increase the energy in a room, and they’re a great way to give team members with different strengths an opportunity to contribute. Idea 63: Require players to hit the bullseye on an electronic dart board from a distance. Idea 64: Give players a water gun and reveal a message or clue if they can hit a target with a steady stream of water. Hand-eye coordination is used in only 17% of escape rooms worldwide. Depending on your theme, there may be a great opportunity to use ropes or chains as props. But don’t discount the opportunity to use them as puzzles as well! Idea 65: Tie something up and make the knot difficult to untie; for an extra challenge, require the use of another tool found elsewhere in the room to release the knot. Idea 66: Chain players to each other or to something in the room at the beginning of the game and challenge them to get free. Puzzles using ropes or chains are used by only 16% of escape rooms worldwide. Word puzzles, like algebra and mathematics puzzles, often require outside knowledge that some players may not possess. Consider making sure alternate methods of solving word puzzles are provided, especially if you frequently have tourists who are not native speakers of your country’s language. Idea 67: Here is an online crossword puzzle maker. Word puzzles like crosswords or word searches are used by 14% of escape rooms worldwide. Mazes can come in all shapes and sizes. You can build a life-sized maze for players to navigate or give them smaller mazes to complete using hand-eye coordination and teamwork. Idea 68: Activate a switch when a labyrinth puzzle is completed. Idea 69: Require players to navigate a hidden maze with a radio-controlled car using a camera feed or a teammate’s directions. Idea 70: Place a key in a covered maze and require players to use a magnet to move it through the maze to an opening where it can be retrieved. Idea 71: Give players a map that reveals the exact path through a maze and hide a code in the path pattern. Mazes are featured in only 14% of escape rooms worldwide. One of the best ways to immerse players in your fictional world is to create physical obstacles they must overcome, especially if your theme involves horror, science fiction, or heist elements. Whether they have to crawl out of a serial killer’s basement or climb over debris to make repairs to a damaged escape pod, giving players a chance to interact physically with the space considerably heightens the level of realism. 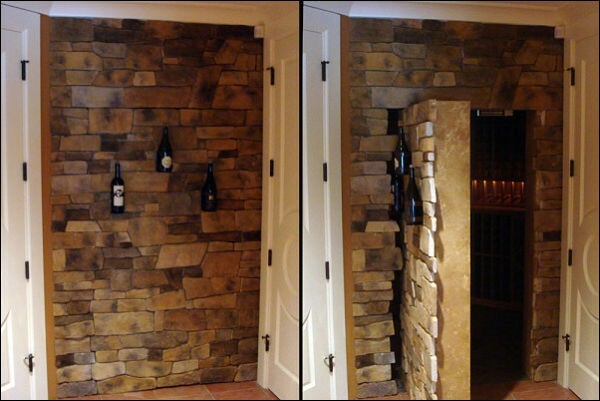 Idea 72: Full-sized secret doors aren’t the only way to hide a secret room. Consider providing access via a trapdoor set into the floor. Idea 73: Require players to navigate a laser maze; reset the puzzle and make them start over again if they touch a beam. Anyone who has seen a spy thriller or a heist movie will know what to do if faced with a laser maze. Idea 74: Hide something at the end of a tunnel or an HVAC vent that’s just big enough for a person to crawl through. Players are required to get physical in only 13% of escape rooms around the world. Back to the five senses. You can use texture and temperature to add to the atmosphere of a room, but you can also create puzzles that require touch. Idea 75: Place an object in a sealed box with a hole in it and require players to identify it solely with their hands. Idea 76: Set up a switch that requires simultaneous pressure on multiple items or spots around the room so that multiple team members must work together. Add to the challenge by requiring the pressure points to be tapped in a certain sequence. The sense of touch is used to solve puzzles in only 12% of escape rooms worldwide. As mentioned previously, many escape room operators and players consider it bad form to require outside knowledge (with the exception of commonly known facts) to complete a game. Idea 77: Require players to know the street address of the room. Only 11% of escape rooms around the world require players to use information not provided in the room to solve a puzzle. Shape manipulation can be combined with pattern identification, although it doesn’t have to be. Idea 78: Give players a matchstick puzzle to complete. Shape manipulation puzzles are used in 11% of escape rooms worldwide. How are you doing? Is your head filled with ideas yet? Now let’s move on to some extremely rare escape room puzzles categories. Liquids are rarely used in escape room puzzles. 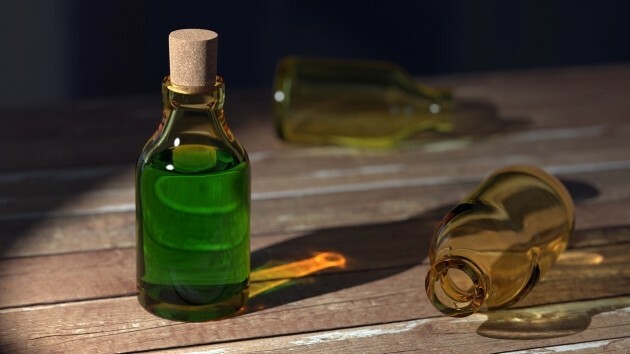 Mysterious bottles of liquid can be used for set decoration or as elements in puzzles. Idea 79: Place a key or object in the bottom of a container that is too narrow for a player’s hand; require players to pour liquid into the container to raise the floating item. Idea 80: Provide a hose or a water gun that produces a strong stream or jet of water that players must use to push an object or a button from a distance. Idea 81: Provide liquids of different colors and require players to mix them to create a new color that is needed in another puzzle. Only 9% of escape rooms worldwide use puzzles that involve liquids. 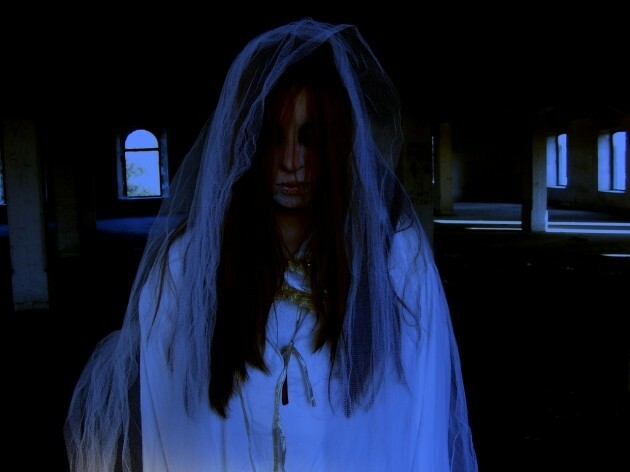 Some escape rooms use actors to great effect (as evidenced by the popularity of the “Trapped in a Room with a Zombie” theme) while others interact with players only through their hint systems. Using actors in your escape room can come with additional operations challenges, such as increased payroll, costuming expenses, and contingency plans if actors calls in sick or fail to show up for work. That said, talented actors can significantly increase the realism of a theme. Actors add a sense of realism to a room that props and set decoration alone cannot match. Idea 82: The prisoner in the next cell keeps whispering and muttering nonsense (or is it?) throughout the game. Idea 83: The psychopath drags a group member (actor) from the room; screams can be heard in the next room for most of the hour . . . then, as the clock ticks down . . . silence. Idea 84: As players frantically search for clues, a mental patient on the other side of the door randomly pounds on it and shouts to be let in. Social interaction with actors is used by only 7% of escape rooms worldwide. Some escape games create a complete interactive experience for their guests with actors and entire houses or buildings to explore. These venues begin to blur the line between escape room and immersive theater or performance art. There are currently few facilities offering this type of experience. Operators who are considering entering this space are pioneers in an exciting new form of entertainment. Idea 85: A physician gives a player a physical, discovers something that terrifies him, and bolts from the room. Seconds later, alarms go off and the facility is locked down. Idea 86: A guide takes players hands and leads them through the dark into their one-hour reality. Idea 87: Non-player characters (NPCs) provide hints or messages to players throughout the game. Currently, only 4% of escape rooms worldwide feature physical interaction with actors. The sense of smell can be powerful. It can create a sense of nostalgia . . . or it can result in a disgust or fear. If you can find air freshener that matches your theme, you can use scents to add realism to the experience. Idea 88: Apply scents to color- or letter-coded containers (or add letters to jars containing scented votive candles); then require recognition of the scent pattern to decipher a coded message. Idea 89: Add scents to blank jigsaw puzzle pieces. Give players the final “picture” (i.e., arrangement of scented items) and require them to assemble the blank puzzle based on the scents on the pieces. Idea 90: Let players know that two objects must be combined by making them smell the same. Only 3% of escape rooms worldwide include puzzles that incorporate the sense of smell. Not surprisingly, the sense of taste is rarely used in escape room puzzles. Many people respond negatively (or throw up!) when they taste something they do not like, and even the fear of unpleasant tastes can be enough to impact a player’s enjoyment of the game. Additionally, because they respect the props and furnishings around them, many players will assume they are not meant to put objects they find in an escape room in their mouths. If you choose to use the sense of taste in your room, you’ll need to find a subtle way to let players know a) that they are allowed to put items that look edible in their mouths and b) that they will not be forced to taste anything that will make them sick.. Idea 91: Give players a cinnamon candy and require them to apply this knowledge in the next puzzle. Idea 92: Scatter white powder (salt, sugar, baking soda, flour) on a surface and make it critical that players find out what it is. Idea 93:Require players to use chewing gum to connect two things together. Idea 94: Give players a cup of a clear beverage; tasting it is the only way to determine which nearby container (lemon-lime soda, club soda, water) contains the next clue. Only 1% of escape rooms worldwide require players to taste something. Obviously, you want to set the environment temperature according to your theme. So if your players are in a morgue, make sure it is cold; if they’re in a crematorium, make sure it is hot. In rooms in which the ambient temperature isn’t extreme either way, some objects and substances will display different properties depending on their temperature. Temperature is a fun and unusual way to hide or reveal clues or messages in an escape room. Idea 95: Write a message or draw a map on a surface with thermochromic paint. Provide an icepack or rely on a player’s body heat to reveal the hidden message. Idea 98: Create a puzzle that requires conversion of Fahrenheit to Celsius or vice versa; provide a thermometer to assist those who don’t know the conversion calculation. Idea 99: Place a temperature sensor on the wall and activate a switch or reveal a clue when the sensor is heated to a certain temperature. Depending on your theme, players may have access to a tool that will produce heat, or they may have to rely on the warmth of their hands. Idea 100: Write something on the inside bottom of a bowl. Cover it with an opaque (non-transparent) liquid which must be heated and evaporated to reveal the secret message. Idea 101: Cover a code made of metal wire with wax which must be melted off in order to see the code underneath. Fewer than 1% of escape rooms worldwide contain temperature-related puzzles. So, there you go! 101 escape room puzzle ideas to help you get started. 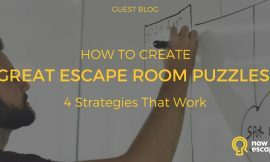 Many of the ideas referenced in this article were generously contributed by escape room business owners around the world. To avoid accidental spoilers, I’ve listed them in no particular order. Got an idea you think should be added? Drop me a few lines via email. If you’re feeling a little lost or overwhelmed, don’t be discouraged. Not only are you not alone, there are two other potential solutions that may take that weight off your shoulders. First, there are companies that sell escape room designs to operators who aren’t quite ready to do it themselves. 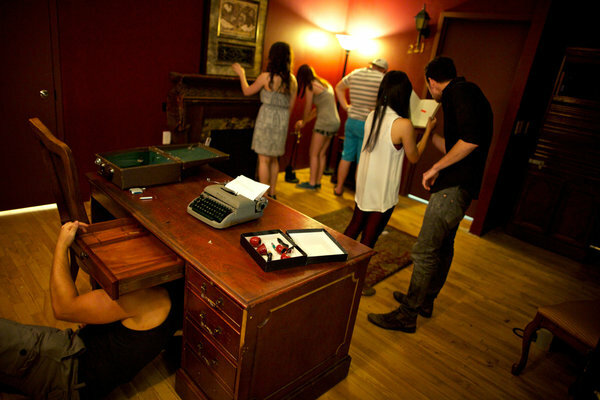 Escape room designs generally cost anywhere from $700 to $5,000 or more, depending on a number of factors, including the complexity of the design and the number of puzzles included. Some of these designers also offer packages that include consulting, equipment, delivery, and installation for an additional fee. Your second option is to buy into an escape room franchise. When you purchase a franchise, you gain a recognized brand, room designs that have proven to be successful in other markets, and the support and guidance that come from operating as a franchise owner. For a complete list of resources, browse Nowescape’s Escape Room Resource Directory, which lists escape room service providers around the world. 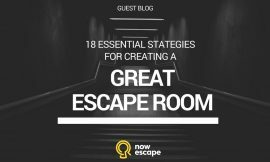 If that’s not enough – you may also be interested in 13 Secrets from an Escape Room Design Guru.